What stops people from beginning to prepare? People often fail when beginning to prepare because they don’t know where to start. Usually, people don’t know where to start due to information overload. Others are intimidated because other people seem so much more advanced. Putting off beginning to prepare until tomorrow is an easy path. After all, what are the odds of something happening? That right there is what people suffering from normalcy bias say! Please, please, please avoid normalcy bias and prepare today. When Should I Stop Preparing? The simple answer is never! You should always continue to prepare. That doesn’t mean you need to buy new stuff. But, it does mean you should keep fine-tuning your preparedness. Train with your gear. Review your plans. Rotate your perishables. It all goes into your ability to overcome challenging events. Prepping is your insurance for the future. Unlike regular insurance, you can eat and use your prepping insurance. I’m New to Prepping. Where Should I Start? When beginning to prepare tart with understanding your capabilities. The first step to doing that is seeing what you have on hand that may be useful. Next, determine your prepping budget. Once you know what you have on hand and determine your budget, you’ll be able to come up with a game plan. That plan will allow you to address your prepping needs while working within your budget. Food is a tremendous first prepping step. It’s a significant step because it’s necessary for all preparedness scenarios. Those scenarios run the gambit from job loss to a long-term disaster. If money is tight, set aside a few extra dollars each week or month. Purchasing one extra can of food or bag of rice slowly adds up. Over a short while, you’ll have a well-stocked supply of food. That food will see you through tough financial ties, and through large-scale disasters. Remember, you don’t need name brands to survive. Dented cans from the discount store are just fine. Also, may want, but don’t need paracord. Twine and other cordage work well too. Never forget, food storage is the gateway to preparedness. There’s Too Much Information Out There! It is easy for all preppers, new and experienced alike, to suffer from information overload. The first trick to squashing information overload is determining what websites and resources work for you. When beginning to prepare, you can make this determination by asking others. 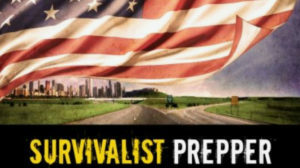 Some great places to find others are the SurvivalistPrepper and Mind4Survival Facebook groups. Feel free to reach out to Dale Goodwin, or me (Brian Duff) if you have any questions. You can find us in both of the Facebook groups. The next best way to overcome information overload is to have and follow a plan. By developing a plan, you will stay on course and not be distracted by non-relevant information. I Want Others to be Prepared, but They Think I’m crazy! There are many tactics for you to use when convincing others to prepare. The number one tactic doesn't scare and overwhelm people. As preppers, we can be very passionate about preparedness. 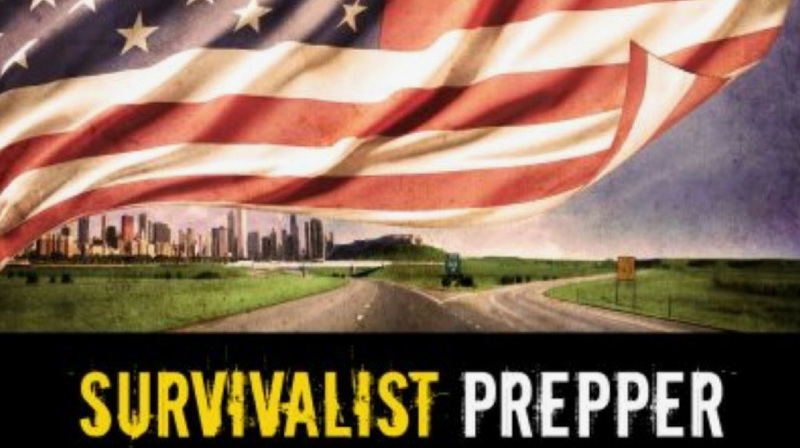 Don’t let your enthusiasm intimidate non-preppers and stop them from beginning to prepare. One method for getting people into prepping is to give them a preparedness related gift. A first aid kit or an automobile emergency kit is great for the uninitiated. When they end up needing it, they’ll start to realize you’re not crazy. If the person who is giving you grief about prepping is a loved one, then prepare for them. Make sure you respect their views. Not respecting their opinions may cause them to alienate any potential preparedness efforts. Remember, ease them into prepping by taking baby steps. I Work, Raise the Kids and Walk the Dog. I Don’t have Time to Prep! Sure, you do! You just have to make time. Spending anytime preparing is better than not spending anytime preparing. First, set realistic goals and expectations for yourself. Next, limit your distractions. Limiting distractions means shutting off the T.V, not logging into Facebook, etc. Take an honest look at how you use your time. Once you have made a realistic assessment of your time, look for ways to become more efficient. One way is to replace wasting time surfing the Internet with learning something. As Glen Tate of 299 Days says, get your master’s degree from YouTube University. How Should I Prepare if I’m on a Limited Budget? First, sit down and figure out your budget. With your budget figure out, you’ll know how much your bills are and how much you have for prepping. Be diligent about sticking to your budget. Try not to spend money on unnecessary things. You can also figure out ways to earn money for prepping. Take a look at the extra stuff that you have laying around. Sell it on eBay, or other sites. Find ways to make money. What About All of These Conspiracy Theories? Conspiracy theories are a good distraction. They offer entertainment value. Unfortunately, the mainstream media is about as accurate and unbiased as the conspiracy theories are. In the end, if something happens to you, does the why of it matter at the time? Prepare to get past the event, then deal with the why, once the facts are known. Figure out a game plan to achieve your goals. This will help you to establish a stable preparedness foundation. Focus on the basics, such as food, water, and first aid. Then, you’ll be set on all types of disasters and challenging events. Make a bug out bag. Making a bug out bag will give you a microscopic view of prepping. You’ll begin to learn your strengths and weaknesses, plus what works and doesn’t work. Don’t spend a lot of money on it and build it over time if needed. Take action! Start prepping today. When you start, take it in baby steps until you learn what you need. You’ll make significant amounts of progress over time. If you have any other thoughts or questions about beginning to prepare, please leave a comment below.